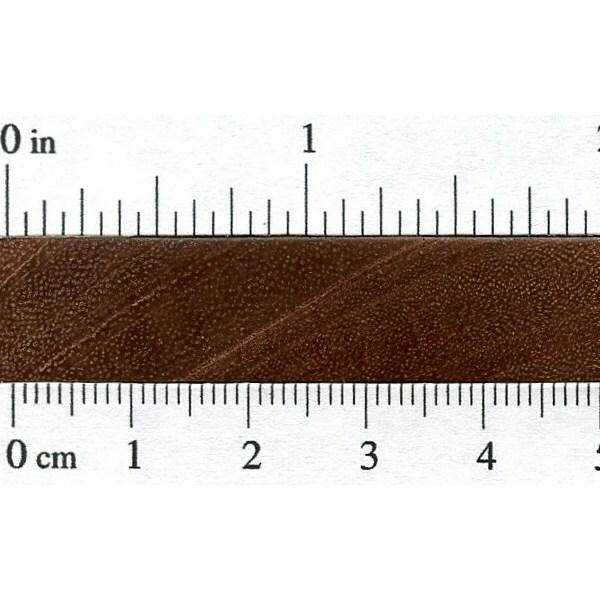 Color/Appearance: Heartwood is a light to medium reddish brown, sometimes with darker stripes. Color tends to darken with age. 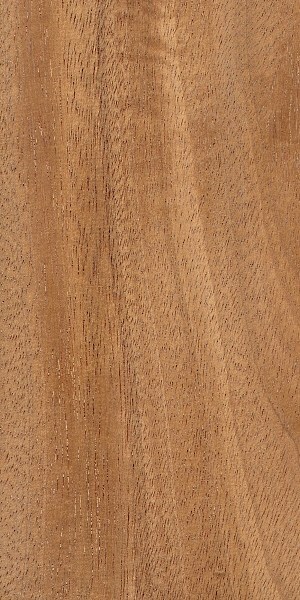 Pale yellowish brown sapwood isn’t always clearly distinguished from hearwtwood. 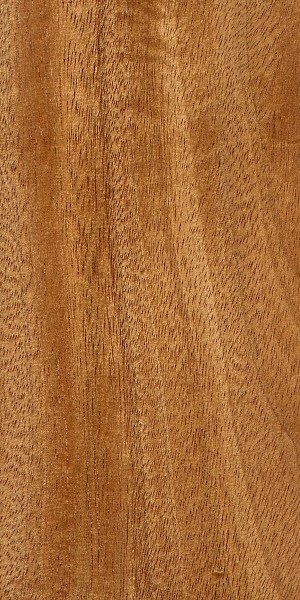 Overall appearance is very similar to Mahogany. 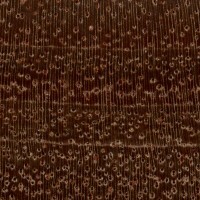 Grain/Texture: Grain is straight to interlocked, with a medium texture and a high natural luster. 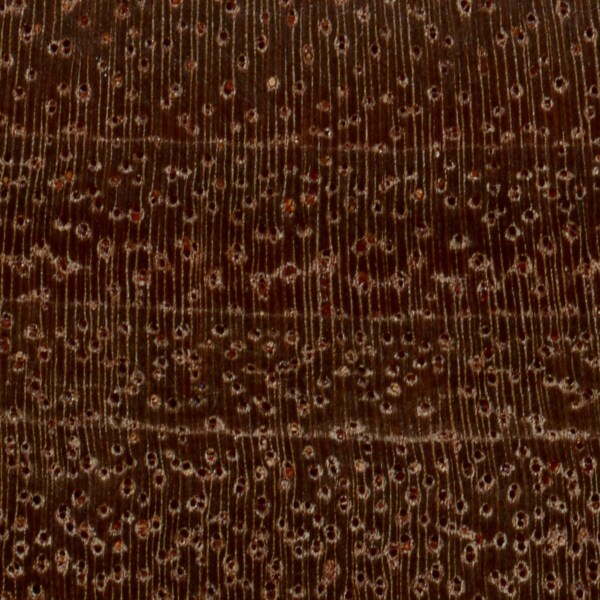 Endgrain: Diffuse-porous; medium pores in no specific arrangement; solitary and radial multiples of 2-3; heartwood gum/deposits (amber, reddish brown, and/or black) common; growth rings distinct; rays not visible without lens; parenchyma vasicentric, banded (marginal). Rot Resistance: Rated as moderately durable regarding decay resistance. Workability: Overall fairly easy to work with both hand and machine tools, though interlocked grain can cause tearout, especially during laning and other machining operations. Amendoim has a blunting effect on cutters due to a naturally high silica content. Turns, glues, and finishes well. Responds well to steam-bending. Allergies/Toxicity: Besides the standard health risks associated with any type of wood dust, no further health reactions have been associated with Amendoim. See the articles Wood Allergies and Toxicity and Wood Dust Safety for more information. 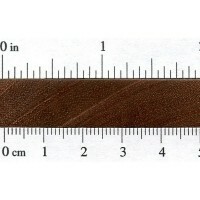 Pricing/Availability: Though it’s occasionally available in lumber form, Amendoim is primarily sold as flooring planks. Prices should be in the mid-range for an imported South American species. Sustainability: This wood species is not listed in the CITES Appendices, but is reported by the IUCN as being near threatened. Technically it doesn’t meet the Red List criteria of a vulnerable or endangered species, but is close to qualifying and/or may qualify in the near future. Common Uses: Flooring, furniture, cabinetry, interior trim, and turned objects. Comments: This wood is called by a myriad of local and regional names, but it’s simply marketed as “Amendoim” in the United States. Now in style as flooring/stairs in high-end homes and sold as “Brazilian Oak”. What are the requirements for installing Engineered Amendoim on concrete? How long should it acclimate / any special type of glue / moisture level / etc..